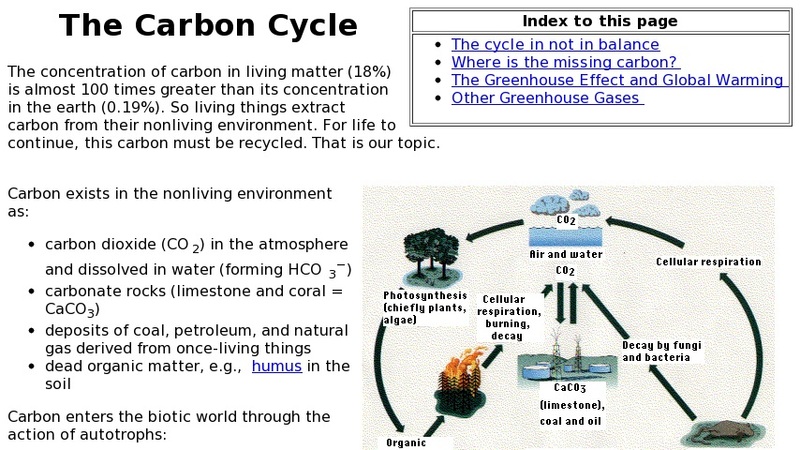 Since living things extract carbon from their nonliving environment, for life to continue carbon must be recycled. This site tells us that the cycle is not in balance and explores the possibilities of where the missing carbon might be found. The site also explains the greenhouse effect and global warming and also covers the other greenhouse gases such as methane and chlorofluorocarbons (CFCs). It also features diagrams, a graph, and links to other sites for more detailed information.